So far, this year, William is a Viking. He loves to be out in the snow. He's got this cute way of listing all the fun things he did when he comes back into the house. 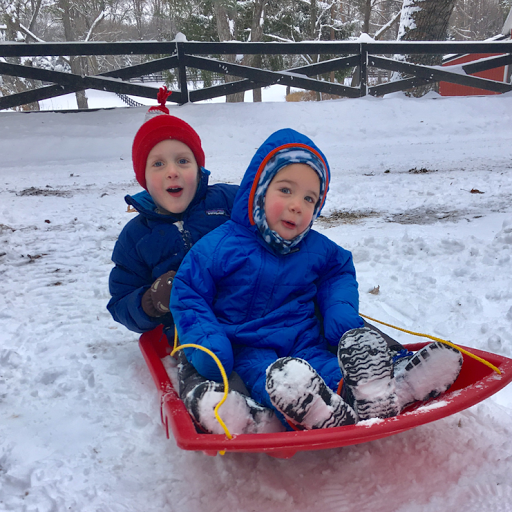 "We played in the snow, we rode on the tractor, we made snow angels, we went sledding, and that's all." Barrett, on the other hand, does not like to be out in the snow. William wasn't crazy about it at two years old either. Makes me wonder what life will be like when all of our children are four years old and up. They won't be cute and chubby anymore, that's for sure, but we will be a heck of a lot more mobile. 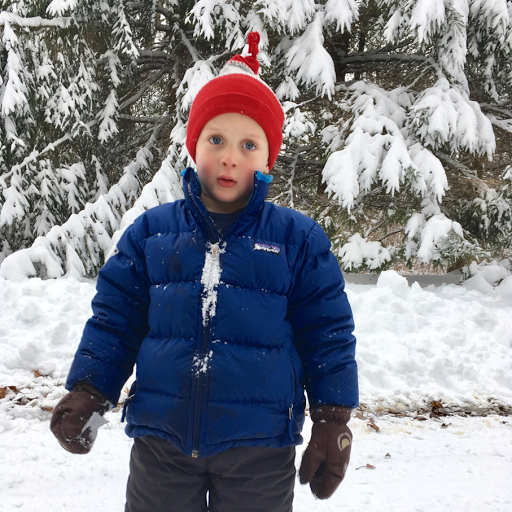 Will we do all the fun things I imagine, like taking advantage of the free snowshoe program in Oakland County or building a snow fort as a family? 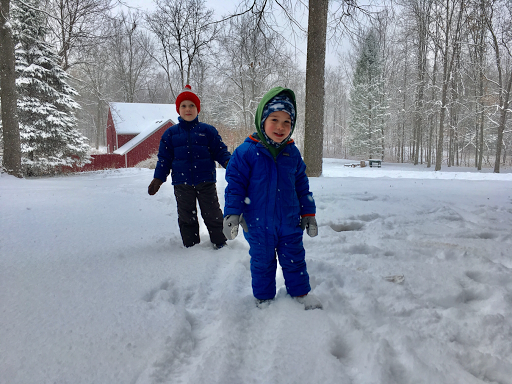 I did end up taking the boys outside yesterday and we had fun. There was no snow falling and the air was warmish. Neva slept the entire time until we were ready to come back in.